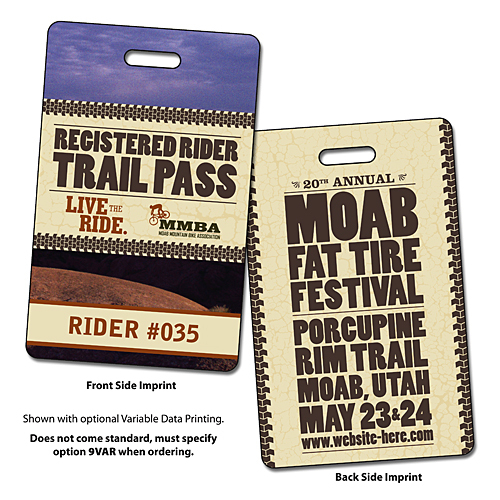 With full-color imprint and a high-quality laminated finish, this is one plastic tag that is priced right for festival worker ID tags, backstage passes, etc. Price includes printing on both sides. Price includes printing in full-color (four color process) on both sides. Exact color matches, metallic or fluorescent colors cannot be printed in full-color (four color process).